When my husband dug up a book from his collection titled 'The English - Arabic Cookery Book' compiled by Gertrude Joly and published in Beirut in 1950, I got excited about reading it, looking at the old fashioned adverts while secretly hoping to stumble upon some old forgotten recipe. Gertrude Joly was an English Lady who lived in Palestine and Lebanon. She worked both at the British Syrian Training College in Beirut as well as at the Jerusalem Girls' College. She was interested in improving the lives of women. The family seems to have had roots in the country since the early 19th century. 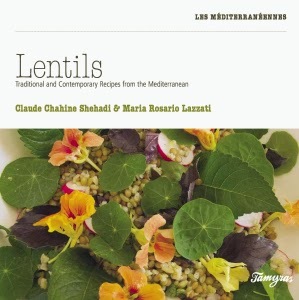 Her cookery book is a compilation of Lebanese and European recipes. 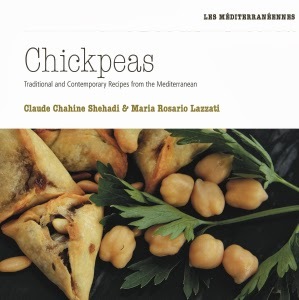 Written in both English and Arabic, the book has a mix of recipes such as Scones, Devilled Sauce, Tabouleh and Kibbe and even bacon-less Kromeskies. It also includes interestingly named recipes such as 'Salim Pudding' (a raisin based pudding) or 'Ring of Plenty' (a type of pasta turnover filed with meatballs). I am not sure what their provenance is but they certainly made the most of local ingredients, replacing treacle with carob molasses (dibs) in one and adding Stambouli cheese to the other. Keep the stem on the aubergines but peel away the green corolla. Serve with rice on the side. Wash and dry the aubergine. Split them lengthways and brush them with olive oil. Place them in a pre-heated oven at 180°C and roast for 30minutes or until they begin to soften. Pre-heat the oven to 180º C.
Place the pine nuts in the hot oven and roast for 6 to 8 minutes, until they turn a light golden colour. Meanwhile, chop the onions finely and fry them gently with a little olive oil until they become soft and translucent. Add the minced meat and sear it until well cooked. Add the spices and the pomegranate concentrate. Taste and adjust salt and pepper seasoning. Add olive oil to the chopped tomatoes and mix with tomato concentrate diluted in 200 ml boiling water. Season this sauce with black pepper and salt. If you like your food spicy/ hot you can add a sprinkle of chilli flakes. Puree the tomato mix in a blender. Take an ovenproof dish and brush it with a little oil. Place the aubergines with the split side up. Open gently and fill each aubergine with the onion and meat mixture. Cover with tomato sauce and bake for 35 minutes at 180º C.
You can also stuff a few tomatoes with meat and cook alongside the aubergines.